This course is taught at your Company site with up to 20 students. 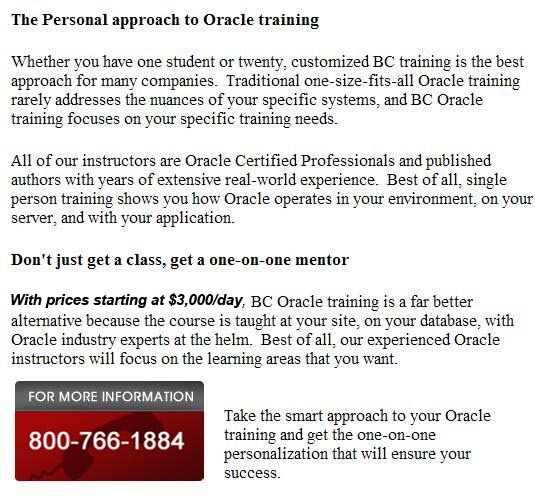 Burleson Oracle Training Courses help build your business and your personal experience, confidence, and success! * Ensure the success of your Oracle Business Intelligence project by learning from an experienced Oracle Business Intelligence expert. * See industry best practices for choosing a Business Intelligence platform and supplemental Business Intelligence tools. * Understand the evolution of Business Intelligence needs, from tactical data to hypothesis testing and forecasting. * See how to use Oracle Business Intelligence for advanced linear regression, predictive modeling and trend analysis. * Learn proven methods for ETL and data cleansing. * See how to collect and analyze terabytes of operational data. * See how to create executive dashboards for strategic data analysis. * See how to build Oracle Business Intelligence Interactive Dashboards for executive management. * Understand the secrets for hypercharging your Oracle Business Intelligence queries. * See how to leverage the Oracle Business Intelligence Server. * Learn to use Oracle Business Intelligence Answers for sophisticated trend analysis. Low on theory and long on real-world applications, this Oracle Business Intelligence training class is taught by an experienced Oracle Business Intelligence DBA who teaches Oracle Business Intelligence secrets and tips. Every Oracle Business Intelligence shop has different requirements, and Oracle Business Intelligence training course can also be customized according to your specific needs along with follow-up supplemental mentoring to guarantee your success in your Business Intelligence deployment. 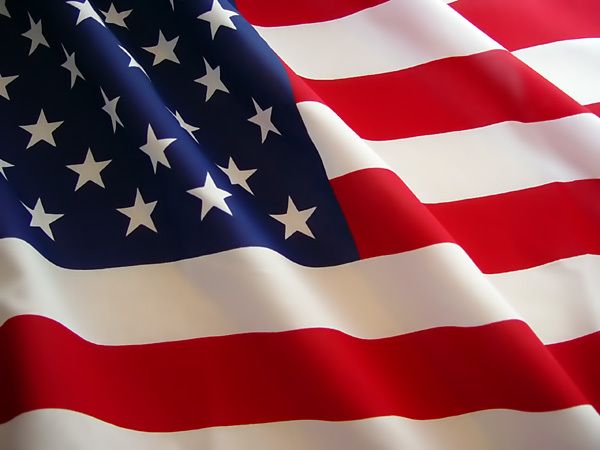 BC is proud to be the All-American team with pragmatic training from expert instructors. This Oracle Business Intelligence Suite Enterprise Edition course is designed for practicing business power users who already have basic experience with Oracle. This Oracle Business Intelligence Suite Enterprise Edition course was designed by Burleson Corporation, an acknowledged leader in Oracle database administration. Burleson has over two decades of real-world Business Intelligence experience, and strategic data analysis. In this intensive training course, Burleson shares hidden secrets for maximizing your investment in the Oracle Business Intelligence Suite. By the end of this Oracle Business Intelligence training course the student will develop insightful ad-hoc analysis and dashboard publishing skills using Oracle Answers and Dashboards by working through practical demonstrations and hands on exercises there on site, tailored to meet your business needs! A hands on intensive 1 day customized Oracle Business Intelligence course. To view all of our Oracle Business Intelligence Suite training course please visit our main training page here.